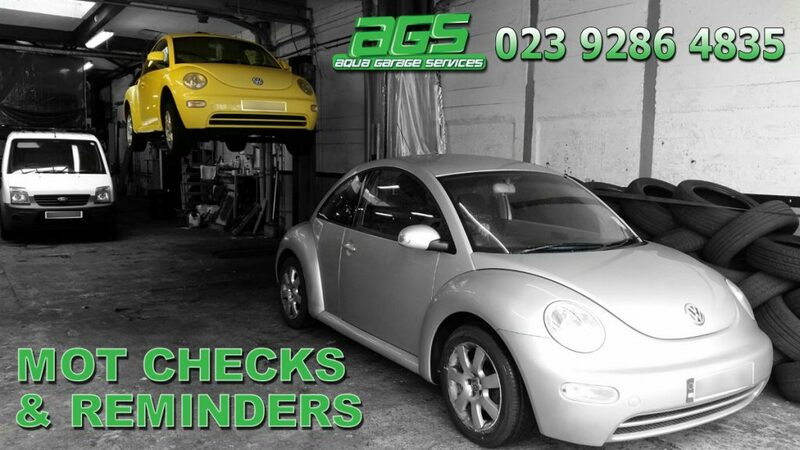 Aqua Garage Services (AGS) are located on Eastney Road, Portsmouth. We are an experienced team of mechanics providing servicing and MOT work for all types of vehicle. Now that much of the documentation required for driving a vehicle is kept online, such as vehicle tax, MOT & insurance records, it is easy to forget when MOT’s are due. If you are unsure when your MOT is due, please can call AGS and we’ll check when your MOT is due. We can usually arrange an MOT at short notice if the MOT is due or overdue. For regular customers we can also set a reminder, and send you a free text message when your next MOT is due.